We want to make sure the homes and gardens in East Village are maintained to a high standard, so that you’re proud to live here. Of course, you have a role to play and it’s important that you understand your responsibilities for looking after your home and being a considerate neighbour. We’ll also be offering a range of services to look after the buildings and gardens. If you rent your home, we’ll also offer maintenance services within your home. 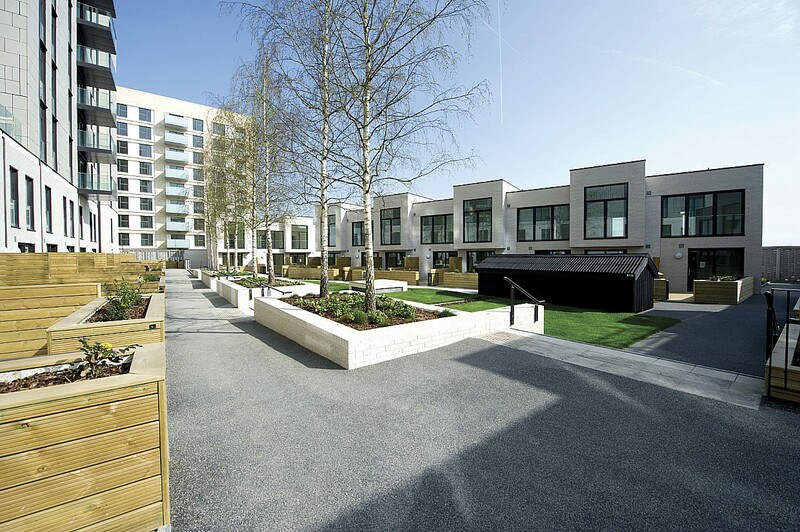 You’ll see the Team East Village team around East Village and they will be managing and maintaining the building and common areas – things like lifts, corridors, lighting and stairwells, common – as well as the communal gardens and courtyards. If you notice a repair which needs to be done in the communal areas or gardens, just get in touch with the Triathlon Homes team. If you rent your home, Triathlon Homes will arrange and cover the cost of most repairs within your home, although some repairs are your responsibility (see the ‘You and Your Landlord‘ guide for more information). Shared owners and leaseholders are responsible for maintenance and repairs within their home (please refer to the ‘Leaseholder Handbook’ for more guidance). If you rent and need to report a repair, just get in touch with the Triathlon Homes team. If it’s an emergency, such as a loss of electricity or water, we’ll carry out your repair as quickly as possible, including making your home safe within 2 hours. For other repairs within your home, we aim to carry out urgent repairs within 5 working days and routine repairs within 21 working days. To arrange contents insurance for your personal items such as furniture and clothing, as this is not covered by the buildings insurance. To talk to us first before you alter your home. It’s fine if you want to hang a picture, install a shelf or bookcase or replace a light fitting, but anything beyond this, please check first as you’ll most likely need permission. To get our advice if you or someone in your household has a disability and could benefit from aids or adaptations to make your home more suitable. *Please note that this was updated in Jan 2016, the previous information regarding the two year defects period was aimed only at the very first buyers on the East Village. We apologise for any confusion caused.